Just what is the connection between coronary heart disease and a warm feeling in the leg? You may already know that a deep vein thrombosis can present with a very warm sensation in a specific area of the leg. But what about a problem with the heart, such as coronary artery disease? 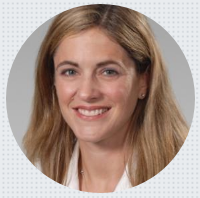 “Heart problems are not typically associated with leg discomfort,” says Nichole M. Polin, MD, FACC, Director, Cardio-Oncology Clinic, Ochsner Health System. “Peripheral arterial disease, which is plaque buildup in the arteries that supply the legs, can be associated with coronary artery disease and typically cause a heavy or cramping pain in the back of the calves, thighs or buttocks with ambulation,” continues Dr. Polin. So though heart disease does not directly cause discomfort, let alone a warm sensation, in a leg – the presence of peripheral artery disease is very predictive of the presence of coronary artery disease. After all, the inflammatory process that leads to plaque buildup in the peripheral (leg) arteries is the same process that leads to plaque buildup in the arteries of the heart! And the process is fueled by poor diet, lack of exercise, obesity, smoking, high blood pressure and sleep apnea – among many other contributing agents. Can a Heart Problem Cause the Legs to Feel Cold?